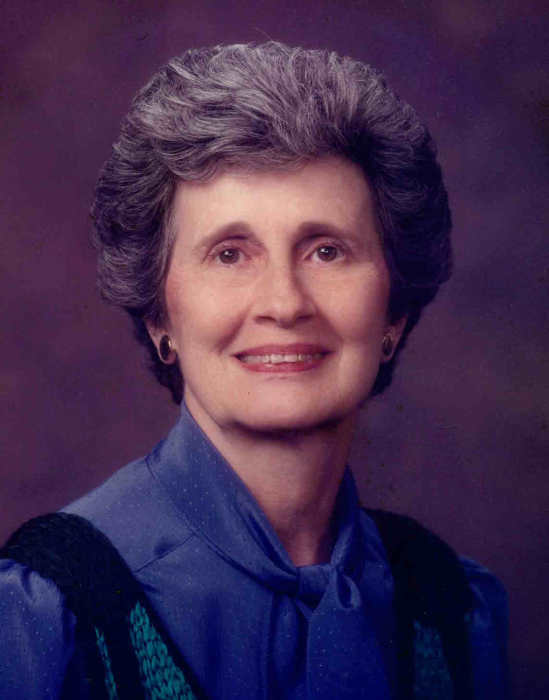 Juanita Maxine Freels Webb, age 95, born in Independence, KS and a resident of Daphne, AL died Saturday, March 16, 2019 at Westminster Village. She was a homemaker. She is survived by three daughters, Marcia (Ed) Pepperman, Diana Bastain and Peggy (John) Possien; five grandchildren, David Possien, Paul (Adrienne) Possien, William Stacy (Suzanne) Vereen, Jason (Corrie) Pepperman and Ward Pepperman and seven great grandchildren. She was preceded in death by her husband, William Thomas Webb and a sister, Natalie Morey. Graveside services and burial will be held Wednesday, March 20, 2019 at 11:00 a.m. at Oak Hill Cemetery in Atmore with Reverend Jim Fillingim officiating. Pallbearers will be Paul Possien, John Possien, Stacy Vereen, David Possien, Jason Pepperman and Ward Pepperman.